Doctors say they should be allowed to use mobile phones in hospitals. The British Medical Association's annual conference in Llandudno has heard there is little evidence to support the current ban in many trusts. Doctors said they would be able to look after patients more effectively if they could use phones rather than having to rely on pagers. However, the Department of Health said there was some evidence that phones can interfere with vital medical equipment. Dr Simon Calvert, a specialist registrar at King's College Hospital in London, told the conference that the ban was unjustified. "We haven't moved on in 30 years. Mobile phones seem to be the pariah of the wards, with threats of disciplinary action on any staff using them. "What is the evidence behind this draconian approach?" Dr Calvert said a study in 1997 found that other equipment, such as emergency services or security radios, had a much greater impact on medical equipment. "We still let these people into our resuscitation rooms and intensive care units," he said. "Mobile phones only affected 4% of devices, with only 0.1% of these incidents being classified as serious." He suggested that intensive care consultants and anaesthetists carried mobiles in hospital. "I guarantee if you frisk any of them you will find a switched on mobile phone in their pocket," Dr Calvert said. He called for a "sensible steer" on the issue, to allow doctors to communicate with colleagues. 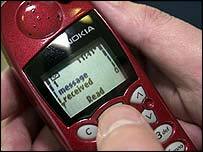 London anaesthetist Simon Minkoff said the idea that phones interfered with equipment dated back to old analogue phones. He said modern mobile phones did not pose a problem. "The average mobile phone presents a tenth of the risk of interference with equipment compared to police and ambulance radios," he said. Dr Minkoff said doctors could also benefit from using hand-held computers and mobile phones to access patient notes. "Medical equipment is supposed to be shielded from radio waves so they can't penetrate it. "Mobile phones and other wireless devices are very, very safe. "We use other, more dangerous equipment in hospitals. "I have been walking around intensive care units dealing with patients with my mobile phone in my pocket and you don't see interference." A spokeswoman for the Department of Health said the Medicines and Healthcare products Regulatory Agency (MHRA) had found evidence to support a ban. "The MHRA said mobile phones have some potential to interfere with sensitive medical devices, especially at short range," she said. "This is because some medical devices are more susceptible to interference than others. "As a result the MHRA advises that trusts make a decision about the use of phones in hospitals dependent on individual circumstances."